← Taking a Gap Year – At our Stage in Life? Are We Mad? Last week I went to Sligo on the train. On the journey I met two very different people. The first was a PR Consultant and the other had an unusual folding bicycle. Meeting both has helped our Gap Year Plans. I now know that if we make the effort we will have many more chance meetings like these on the journey from Paris to Berlin. On the train there was a man sitting opposite to me. On the journey down both of us worked away on our respective laptops and did not talk until we got near Sligo. I then spoke to him; we introduced ourselves and discovered we had both had gone to the same Sligo school, Summerhill College and had other things in common. His name was Padraig Mc Keon a PR consultant, with his own business and he was going to Sligo to meet a client. We exchanged business cards and I told him about our Gap Year and the blog. On the return trip that evening we met again. We agreed to share the same seating area with a table back to Dublin. We asked each other how our day in Sligo had gone. (My day had been very good. My mother is in a nursing home in Sligo. I had been working for four months to set up a volunteer organisation there and that day we had the inaugural meeting of the committee of Friends of Nazareth Nursing Home). Padraig also had a good meeting with his client. He said he had been thinking about what I was doing for our Gap Year and that I should try and get on the radio with our Gap Year story as it would be of interest to a number of talk show programs. I thought no more about this but two days later he sent me an email telling me our blog was very good and giving me contact details for three radio shows that he suggested would be interested in the story. 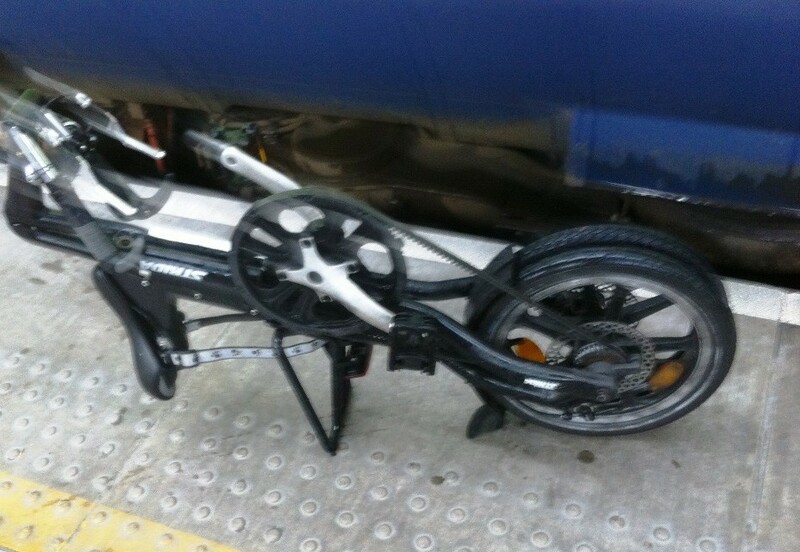 The second man had come along the platform pushing an odd looking fold up bicycle. Because of our need for bicycles on our Gap Year, I have done research on electric and fold up bicycles. I recognised the bike was unusual and stopped the man to ask him about it. (This would have been something in the past that I would have been too shy to do). He told me all about the bike and gave me a demonstration of how it works. He was very enthusiastic about it. He said he had found it after having a few different types of bikes, including electric that this one was the best. It could not be purchased in Ireland and had to be bought over the Internet from Holland. He said that the best advantage was that it folded up like a suit case and you could take it anywhere. I took a photo of the bike on my phone but forgot to take one of him or get his name. All I know is that he lives in Carrick on Shannon as he said he is know locally as the “bike man” The bike at €800 is too expensive for us but he he was able to confirm what I suspected that we would not get value from replacing our existing bicycles with electric bikes. Funny how those two impromptu meetings happened. Now I know it’s up to me and Nuala to open up conversations with new people rather that passing them by. This way, we will get to talk to interesting people who cross our path and no doubt they will help us on our journey or make us laugh. Why did I not do more of this before? It’s great fun. Now I am off to make those phone calls and start my radio career!! 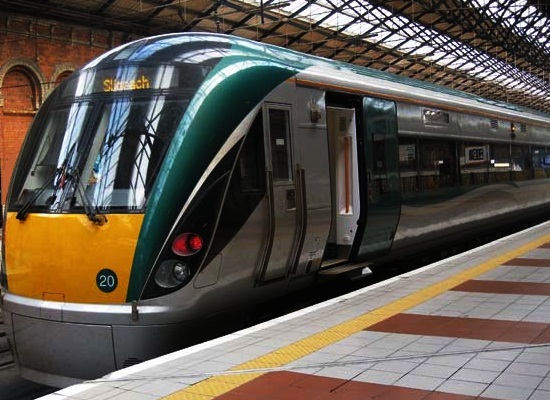 This entry was posted in People We have Meet on the Gap Year and tagged Sligo, Summerhill College, train journeys. Bookmark the permalink. We are following your blog and find it very interesting, we can’t wait for the next episode! Hi Pauline & Seamus. Glad you are following the blog. Seamus I will need that fill of diesel soon ! !